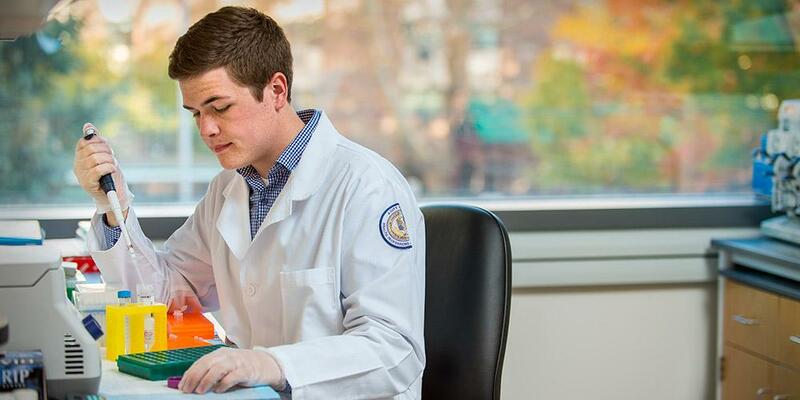 Our College of Medicine students who are interested in research have a variety of options, ranging from combined programs such as the MD/PhD to individual elective courses. Upstate Medical University offers research opportunities in clinical settings as well as in laboratories. Students can connect with researchers in a number of ways. MD/PhD: a seven-year program combining medical school and graduate studies in the biomedical sciences. Students enjoy a full tuition waiver and a competitive stipend. Summer Research: opportunities at Upstate and elsewhere, for academic credit or a stipend. Electives: a choice of many research-oriented electives for third- and fourth-year medical students. Last Modified: December 21, 2018. Contact Chris Liberty with questions about the content of this page.